Dr. Shades posted a message on Thantis, the Warweaver + Koskun Falls? THANK YOU to the two of you! I appreciate your help. If I have both Thantis, the Warweaver and Koskun Falls on the battlefield, and it's an opponent's declare attackers phase in a multiplayer game, can that opponent tell me, "Oh, I want all my creatures to attack you, but I don't feel like paying the mana for it, so they don't have to attack at all"? If so, do I get to say, "You don't have to pay mana to attack anyone else, so your creatures must attack one of your other opponents besides me"?
. . . and, of course, which of us would be right? The answer to this question will determine whether I add Koskun Falls to my upcoming Thantis, the Warweaver commander deck, so thanks to everyone in advance! Dr. Shades posted a message on Just for Fun: What are your "auto-includes?" OP here. Wow, I'm getting a lot of inspiration. Thanks to everyone who responded. Keep 'em coming, folks! 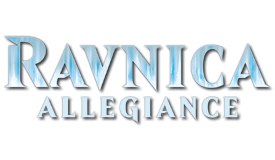 What cards can you simply not help but include in every Commander deck you build, by color? I'm not talking the usual ones like Sol Ring, or maybe Path to Exile for white, but cards you include that nobody else does, ones that aren't in the Commander's list on edhrec.com, or that nobody can (initially) figure out why you put it in. Cards that you either love to play with, or for which you've found some sort of little-known utility, or perhaps cards that you simply don't have a rational explanation to include. . . like maybe you like the art or something. In every deck in which I run Black, I can't help including both Reaper from the Abyss and Black Market. The former is, in my opinion, one of the most underrated cards in the game. You can use its ability at the end of everyone's turn, not just yours, and things die so often in Commander that you'll typically get plenty of use out of it. Plus it gets around the "nonblack" restriction that you see so often on Instant and Sorcery kill spells. What's not to like? As for the latter, one well-placed spell like Wrath of God, even when played by someone else, will supercharge your mana. Sooner or later, if not dealt with, it becomes like a Black version of Omniscience. In every deck in which I run Blue, I always seem to need Thassa, God of the Sea. Scrying every turn is never NOT useful, and very rarely is there not some card (often many more than one) in the deck that can be helped immensely by making it unblockable. I have two decks in which I run the legal two of the original three Eldrazi titans (Ulamog, the Infinite Gyre and Kozilek, Butcher of Truth). I can't help myself but include Mesmeric Orb in each deck along with them. I can't seem to explain the satisfaction I get from seeing people mill cards off the tops of their libraries, knowing that they won't get them back without some sort of recursion, but knowing that I'm essentially immune because those two titans will just shuffle my graveyard back into my library for me as many times as I need them to. So, let's inspire each other. What are your "auto-includes," and why? My comment was #5, and peteroupc's edit was before I posted it. #3 is the one with your thanks to him. Oh, okay. Sorry for the mistake. I am not directly contradicting what he said: it is valid from a strict Comprehensive Rules point of view. As I said, if your event isn't sanctioned and thus isn't covered by the Magic Tournament Rules, you can bring his explanation to the organizers to convince them that by the rules, you should be allowed to do what you want, and you'd probably have a convincing argument. It's just that if they refuse to allow it, with the event not being sanctioned, you have no recourse. That makes a lot of sense. I appreciate you posting that for me. peteroupc and MadMageQc, a huge THANK YOU to the two of you!! I'll print out peteroupc's post, bring every Eldrazi card I own and leave it in my car, then the next time I get to use the ability I'll hope for the best but be cool with whatever the store owners determine should they disagree. EDIT: Expanded on last sentence after comment 3 was posted. Thanks to the expansion to your last sentence, are you saying that MadMageQc is correct, or that he is incorrect? I apologize if I'm being slow on the uptake. peteroupc, you are a man among men. THANK YOU so much for your help!! I've searched for this answer across the Internet, and I still have yet to find the absolute, ultimate, definitive ruling. Hopefully one or more of you good folks here will have it for me. 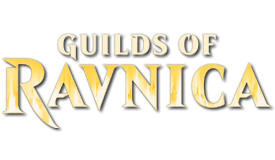 I play in a Commander event every Saturday that doesn't do the "10-card sideboard" thing. One of my decks' commanders is Maralen of the Mornsong, so obviously it's mono-black but has lots of colorless spells therein. I also run Spawnsire of Ulamog in the deck. I can cast every Eldrazi card I own, even those whose casting costs contain W, U, R, or G, even multiple copies of each? I can cast any Eldrazi card I own, even those whose casting costs contain W, U, R, or G, but only one copy of each? I can cast every Eldrazi card I own whose casting costs contain B or C only, even multiple copies of each? I can cast any Eldrazi card I own whose casting costs contain B or C only, but only one copy of each? Thanks in advance for any and all help you can give me. I would like to see a World War II-themed set, whereas nobody else would. Green: The United States of America. All legendary creatures would be actual historical figures from that time period. I have my trades uploaded to PucaTrade but haven't started mailing out yet. Once I have the points, about how long do I have to wait before someone will ship me a card? I'm currently looking for fetch lands and manlands. I did precisely this in order to teach friends and family how to play Magic. I recommend making them into a distinct theme so that players can get a feel for the setting and storyline, hopefully creating something akin to a role-playing or storytelling experience. It's also good for them to see the "cycles" between the various decks (such as Dimir Guildgate, Rakdos Guildgate, etc.). I made five decks, one for each Shard in Shards of Alara. All were designed and playtested to be balanced against each other. I made them into 45-card singleton decks so that players wouldn't see the same card twice in one game. The theme is that the maelstrom is causing the shards to bleed over into each other, causing warfare between the shards as each fights to preserve its integrity from the others. I also created a super-secret sixth deck, the Maelstrom deck, for use when six people are playing. The idea is that the creatures in this deck actually welcome the conflux and are trying to eliminate all resistance to it. Several five-color cards are herein. This is a great idea, Shinbatsu! 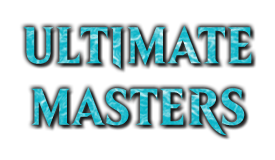 Maybe after seeing a few of your decklists I/we can finally get into Modern. THANK YOU VERY MUCH, Psithief! 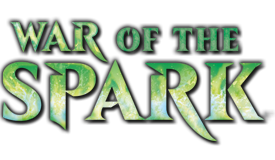 Thanks to you, we're all caught up with Fate Reforged! 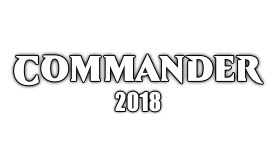 This project has now been updated to include Commander 2014. Once again, we're all caught up! Ahh, I see it now. Thank you. Three ravens? I only see two. Dr. Shades posted a message on Kaw! Kaw! Kaw!